Email marketing is a fantastic tool for every business, however many companies view building an email list as a waste of time because “it won’t work for their business” or because they “don’t know what to send to their clients”. In my opinion, an email list is never a waste of time no matter which industry you specialise in. 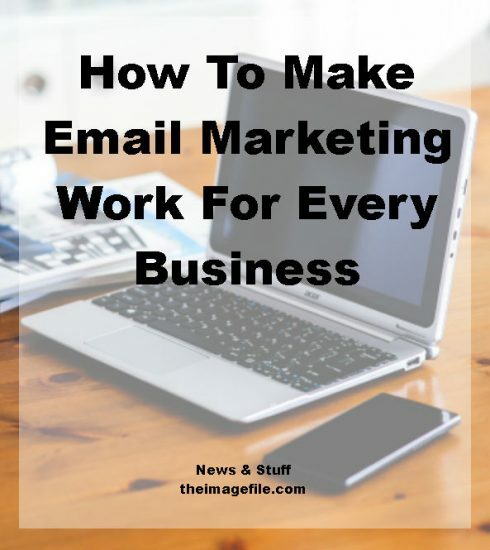 So here is a guide to making email marketing work for you! Understanding your target audience and what you can offer them is key to making email marketing work for your business. The general rule of thumb is that 80% of your content should be valuable and useful for your readers while the other 20% should be promotional content about your business. I know that when someone unsubscribes from your email list it can seem hurtful but you really shouldn’t worry. The first thing to remember is that however big or small your company is, you will always have unsubscribers so it’s not that your content is bad. Also it may seem strange, but unsubscribers can sometimes be a good thing. It means your email list is becoming more and more targeted so all the content you are sending is going to those that really want it. In order for email marketing to give your business the best results, you need to do it regularly. However, running your own business means that some things end up suffering and falling on the back burner. It happens to all of us! So the best thing to do is set up a schedule that works for you. This might mean sending a couple of emails a week or just sending one a month. It’s whatever you can manage, as regularly as you can manage it. When it comes to email marketing one of your main aims should be to increase your email list all the time. However, in order to do this you need somewhere for potential clients and readers to sign up for your emails. This is called an opt-in box. The more obvious you can make your email opt-in box the better, because it means people are more likely to see it and therefore sign up! Whenever you send an email to your list you should give them a call-to-action. Tell your readers what you want them to do e.g. click on the link to read the blog post, buy the product, use the promo code etc. The more you tell your clients what they should be doing, the more likely they are to follow through. Do you use email marketing? Let us know if you have any tips for making email marketing work for any business!